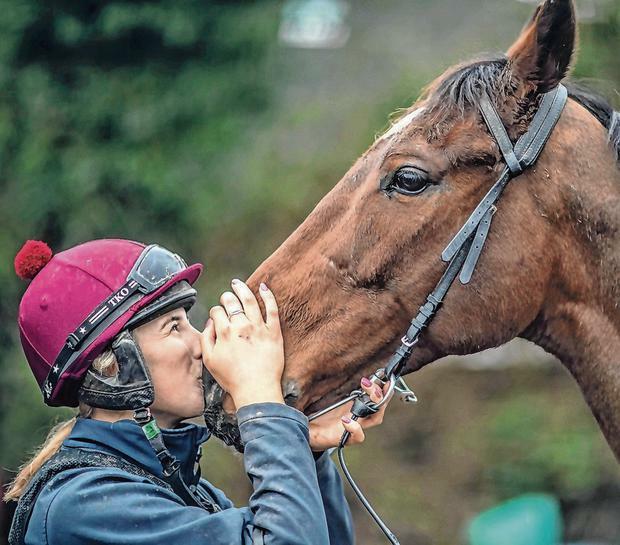 Elliott later revealed she had returned a dirty scope and he is now concentrating on getting her back to form for next month's Punchestown Festival, where she is likely to have several options. "We thought she was in great form going over but, to me, she was beaten after two hurdles," he said. "She stepped into the second hurdle, and she never looked happy at all afterwards." Samcro was a notable absentee from Elliott's Cheltenham squad. The seven-year-old, which has not run since the turn of the year after being treated for a lung infection, could return before the end of the season, with Aintree and Punchestown both options. "He'll have a bit of work on Friday morning and then I'll see what I do," said Elliott, who is responsible for 34 of the 110 entries for this year's BoyleSports Irish Grand National. Among the powerhouse stable's huge prospective army for the Easter Monday highlight on April 22 is last season's hero General Principle, top-weight The Storyteller, the hugely popular Tiger Roll, which is more likely to defend his Aintree crown on April 6. "We'll hopefully have maybe 10 runners this year and we'll see what way we split them up between there and Aintree," said Elliott. "A horse fell in front of General Principle at Cheltenham (in the Ultima Handicap Chase) last week and stopped him. Jack (Kennedy) wisely pulled him up. He'll go to Aintree first and there is every chance he'll come back for the Irish National as well. "There is also every possibility that Shattered Love will run in it (Irish National). She came out of the Gold Cup well. Jury Duty will run in the English National and there is every chance he'll come back for the Irish National then. "Folsom Blue is in both and will go for one or the other and Dounikos ticks a lot of boxes. He's a horse that likes a bit better ground, and I'll go wherever he gets the ground." Willie Mullins has a team of 15 possibles, including Rathvinden, Killultagh Vic, Pairofbrowneyes and Isleofhopendreams, which was second last year. Tout Est Permis is an interesting entry for Noel Meade - with Forever Gold, third last season, set to carry the hopes of Edward Cawley. It is 19 years since Ted Walsh won with Commanche Court and he could run his Cheltenham Festival winner Any Second Now. There are 19 British-trained entries - with Blaklion, Vintage Clouds, Big River and Ramses De Teillee among the pick of them. Michael Verney Laurina stamped her ticket for the Champion Hurdle in good style when Willie Mullins's exciting mare easily disposed of her five rivals in the Listed Quevega Mares' Hurdle at Punchestown yesterday. Daragh Ó Conchúir At the conclusion of the Punchestown Festival last April you would have got long odds against Faugheen and Samcro locking horns in the Unibet Morgiana Hurdle at the same venue today. Thomas Kelly The possibility of a mouthwatering clash between Samcro and Faugheen at Punchestown on Sunday remains on the cards after both stood their ground for the Unibet Morgiana Hurdle.